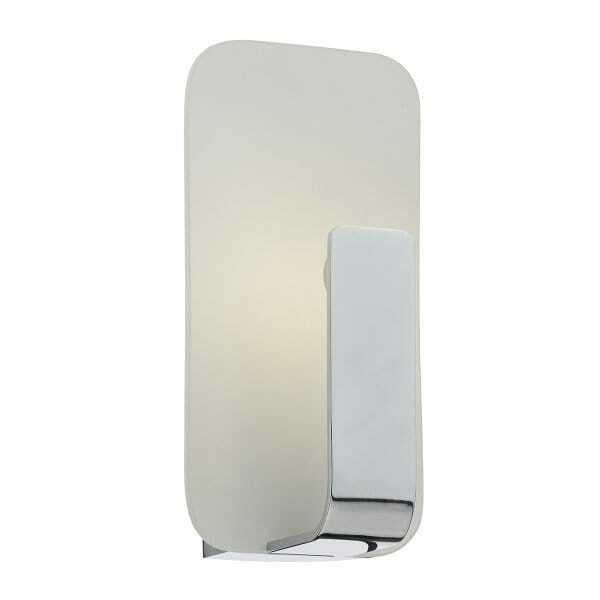 A contemporary design polished chrome and glass LED wall light suitable for use in modern settings. The light is individually switched by a toggle switch and is double insulated to allow for safe use without need of an earth wire. It is very low energy using only 4.5 watts but providing around 130 lumens or the equivalent of around 15 standard watts. Here at The Lighting Company we have a large and ever growing range of lighting to suit every setting. Browse the full range of LED wall lights here: LED Wall Lights.